Fans of the Ice and Fire saga have come up with their own diabolical ways to end Game of Thrones. It is always hard to craft the perfect show finale, while the likes of The Sopranos, LOST, and Dexter all came under fire for their lackluster swansongs. However, with a show as legendary as #GameofThrones, surely David Benioff and D.B. Weiss will get it right in Westeros? With the grim news that we are on the home stretch for Game of Thrones, fans are undoubtedly looking at the ever-approaching end game. With a shortened Season 8, there is less time than you think before we see who will finally sit on that uncomfortable Iron Throne. While some are convinced that #GeorgeRRMartin will never manage to complete his books, fans of the Ice and Fire saga have come up with their own diabolical ways to end #HBO's show. Redditor shaylw posed the question of what the worst way to end Game of Thrones would be, and the Old Gods gifted us some of the best responses ever. If you thought shaylw's own ending of Bran waking up after a dream from his tower fall was pretty bad, you had better turn back now. The ideas get a lot worse from here on out! We already saw Liam Cunningham's Ser Davos try and put his illiteracy behind him, so how about the entire story is the gruff northern twang of Davos reading from some leather-bound book? With HBO being so well-known for its blockbuster shows, how about a crossover with Jonathan Nolan and Lisa Joy's Westworld? 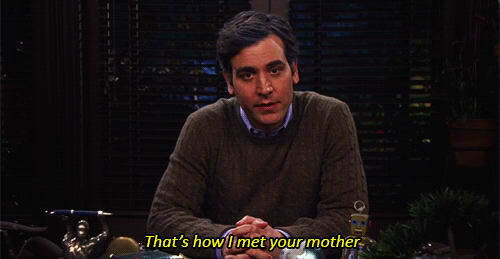 Even more ludicrous, how about tackling the maligned How I Met Your Mother finale? Or, some Dungeons and Dragons action? One of the more plausible ideas sees Samwell Tarly as the unofficial narrator of events. That idea of Sam has already been hypothesized, and redditor stewie4gov points out that Martin has said he identifies with Tarly most out of his characters. Stewie says, "Wouldn't that be a, albeit cheesy, poetic end?" "Winter has come. Jon Snow, alone, sets sail to sea in a blistering storm, surely to die. 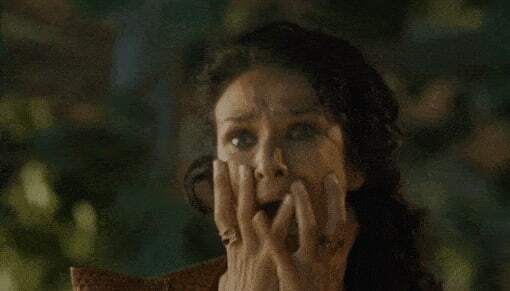 My idea of hell would be a finale that was just an hour-long loop of Harry Lloyd screaming as Viserys Targaryen when Khal Drogo poured molten gold on his head. While 99 percent of these endings sound dire, some actually wouldn't be out of the realm of possibility in a world where you can fly on dragons without a saddle, be protected by a zombie bodyguard, and a man who knows nothing is a contender for king. If all else fails, Benioff and Weiss could always pull a St. Elsewhere and have the entire saga within the snow globe of an autistic boy. Read next: Will Daisy/Quake Create Attilan on Agents of S.H.I.E.L.D.? Blackbolt and More Inhumans?